Tiffany Cheung appeared on Show 209, recorded in January 2010, at age 17. 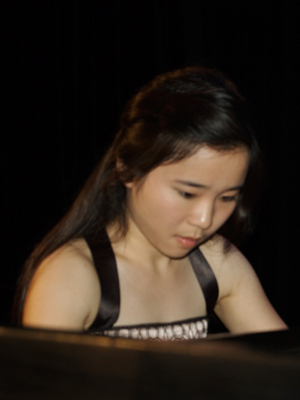 Tiffany Cheung (piano), 17, is a recipient of From the Top’s Jack Kent Cooke Young Artist Award. A resident of Honolulu, Tiffany is a junior at Iolani School and studies piano with Thomas Yee of the University of Hawaii at Manoa. In addition piano, Tiffany plays violin and is a member of the Iolani School Orchestra. She especially enjoys performing at retirement homes and participating in community projects with her friends. Tiffany is a Jack Kent Cooke Young Artist.